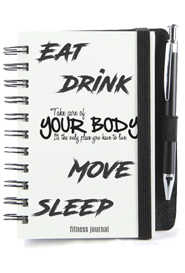 A fitness journal is simply a place where you regularly record information about your body, mind, activity, food intake, and general well-being. It’s a great way to create awareness of your body and actions. Not keeping a journal of your food and fitness is like going on a journey without a GPS. Especially for those looking to lose weight and keep it off successfully. It goes without saying that food and fitness go hand in hand. You cannot have poor eating habits with the expectation that you will lose weight simply because you are working out. Aside from your calorie intake, your body needs the right balance of nutrients to function properly. Much like a car, your body will not run without the right fuel. You must take special care to get enough calories, vitamins, and other nutrients that provide energy. What gets measured, gets managed. Skip the diets and just eat healthy. 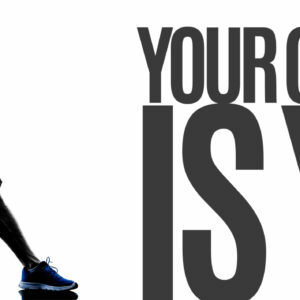 Make fitness a lifestyle change not a resolution. The more you stop making excuses and get on with it, healthy eating and working out will become a habit. To achieve your goals and be successful, you must do it for yourself, not others. Stick to your goals, not for a day, but everyday. Do not do it to feel good in your skin. Do not do it for a special occasion, or this year’s New Years Resolution. Let healthy become a part of who you are. A healthy lifestyle not only changes your body, it changes your mind, your attitude, and your mood! Strive for progress not perfection. Do not approach your exercise routine with an attitude that it must be carried out perfectly to get results. Do not get stuck on how or how much, and do not let restriction be your guide. By setting small attainable goals you take steps in the process of getting to where you want to be. 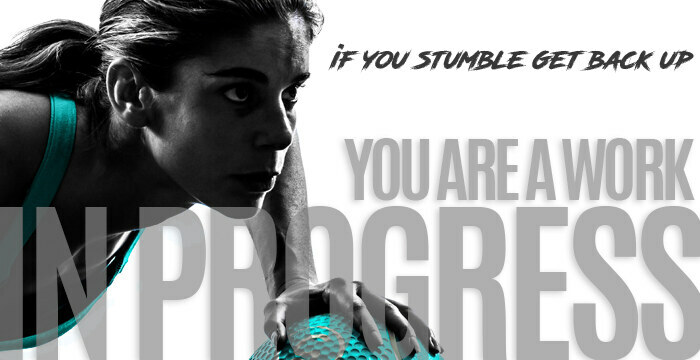 Remember, slow progress is better than no progress! Don’t give up, great things take time. The one thing necessary to achieve anything, is discipline. Have patience and remember, you can become what you know you can be. 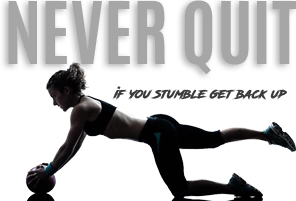 You are a work in progress, if you stumble get back up. A little progress everyday adds up to big results. Decide what you want, make a plan, and work on it every single day!